Heading to St. Mary’s to watch Saints is all about fun. 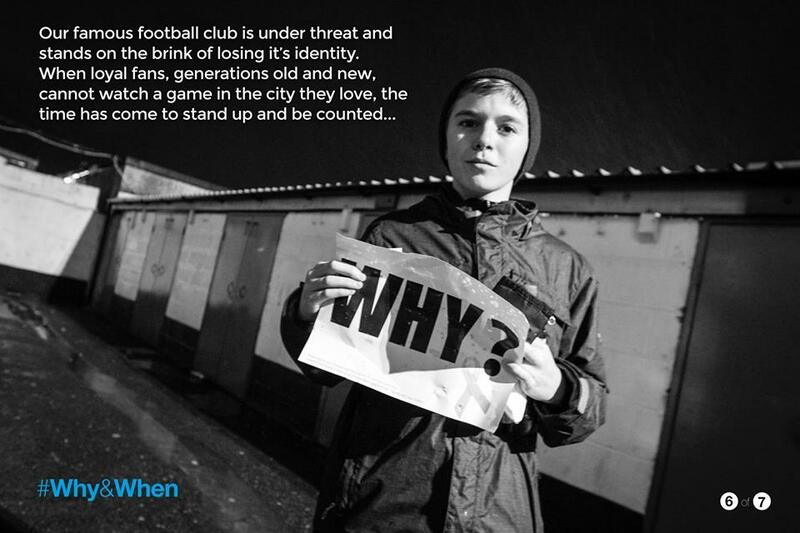 Football after all is a form of entertainment, and for generations supporters have gone to the game to get their football fix with their only care being the outcome of that day’s match. This does not mean that being in the confines of the ground makes you immune from any ailments and illnesses you may have and often they pay no respect to location and situation. 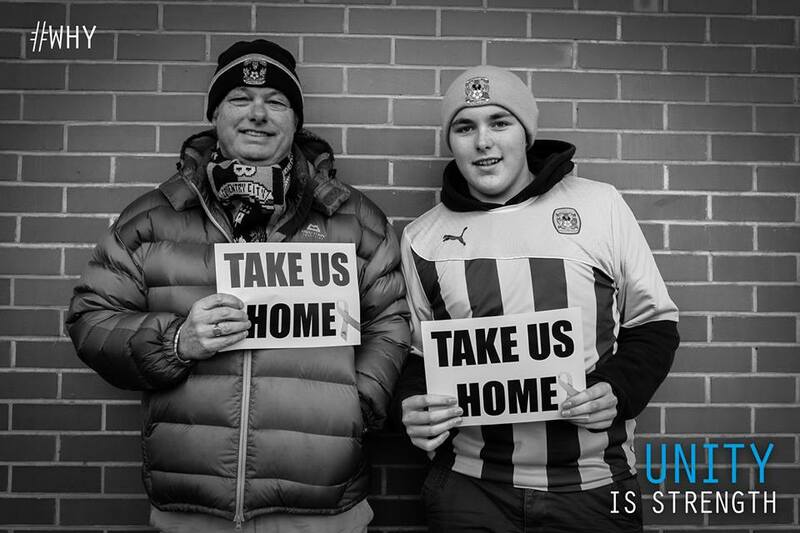 That is where the SDSA (Saints Disabled Supporter Association) have stepped in. 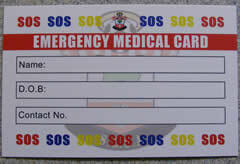 After an incident at St. Mary’s they wisely thought that it would be a good idea for supporters to carry an ‘Emergency Medical Card’ to assist first aiders with any medical history you might have, should you be taken ill at a game. This makes perfect sense. Those attending you will not know you or anything about you and any background health information could help them save your life! The SDSA are providing these cards for free, but would appreciate a donation. The SDSA committee launch the EMC scheme before the QPR game. 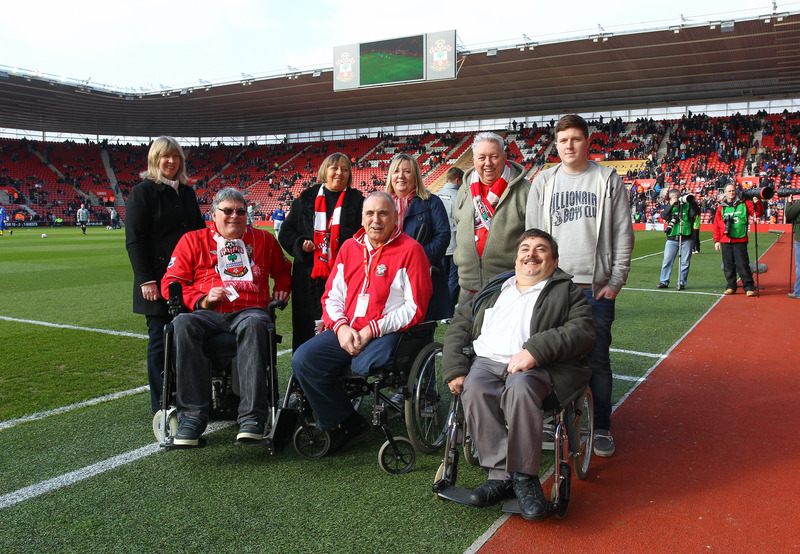 The SDSA are working hard with the club to ensure that Saints facilities are in the top 5 in the country for disabled supporters (they are already ranked in the top 10), so help them help keep you safe by signing up for a medical card. For more details on the card, please read the following link:- http://www.saintsdsa.org.uk/news/2013/medicalcard.html and you can contact the SDSA via twitter here:- https://twitter.com/saintsdsa. So, why does a man who rarely does any exercise, traditionally hates running, and now after a pretty inactive post army life weighs 15 stone want to do the Great South Run? 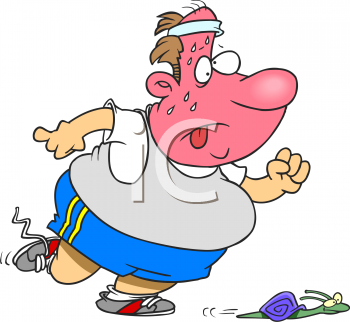 Well, firstly I have a clear need to be fitter, I would like to play more sport and most importantly lose some weight. Having done nothing for two and a half years, entering a ten mile road race, may seem a bit drastic, but I have always been somebody that needs a target and motivation. Running for the sake of it, is not my style at all. The last time I did a ten mile run was in 2007 in Banja Luka, Bosnia and Herzegovina, while serving there in the British Army. I don’t remember my exact time, but I think it was around the 1:25 -1:35 mark, being that it was mountainous terrain, I think that this time area is a reasonable target for the flat surface of Southsea. The only problem is, that was achieved when I was at my peak of physical fitness. I was never the fittest squaddie, in fact I wasn’t even close, but my seven months in the former Yugoslavia provided me with enough time and opportunities to do more exercise than ever before(after the kick up the arse of failing a physical fitness test) and dare I say it, I actually began to enjoy it! So I have set my targets, 10 miles, 1:25-1:35 time, Raise some money for the Ellen Macarthur Cancer Trust, Lose weight, and hopefully enjoy it. All this in 8 months? Should be achievable. How does somebody go about suddenly becoming a runner again? That bit is easy. Dig out the old army PT trainers? Check. Get a treadmill? Check. Download Runkeeper App for my iPhone? Check. Bought Muesli? Check. Make a motivational itunes playlist to include the theme from Rocky? Check. There is an old army saying, “All the gear, no idea” which is pretty apt, but after a week into my training plan, I already feel like a “runner”, I’ve discussed it at work, I’ve shared my run information with my facebook friends and subscribed to “Runner’s World” magazine. Ok, that last one is a lie, I mean what would there be to actually read about? One foot after the other as fast as you can right? Wrong. There is so much more to it than that, and even though I was aware how unfit I had become, I was still surprised by how much I struggled on that treadmill for the first time. Red faced and sweating like a racehorse after two miles, the dry retching started. Two miles? This wasn’t looking good. If the first treadmill run was a “back to earth with a bump” moment, the first road run went beyond the bump and full on choke slammed me back to earth. Out I went, confident that “Gonna Fly Now(theme from Rocky)” and “Lose Yourself” by Eminem would get me through a nice jaunt along Cowes seafront. By the time I actually got to the seafront, I was yet again a sweaty mess. Realistically I was going quite well, and started to feel more comfortable, only for a silver fox in a 70’s tracksuit who was probably my age when I was born to overtake me at Egypt Point. Confidence Knocked. Eminem had kicked in, but he could stuff his 8 mile. I carried on for as long as I could, conscious of the fact that this was my first road run in over two years and finished a 2.2 mile route in 24 minutes. A pace of just under 11 minutes per mile. I was disappointed. I have since been reassured by people that this isn’t too bad, but patience has never been a quality of mine, and I couldn’t help being deflated. Long way to go yet, and am sure I will improve. Now to the truly important part. The fund raising. I am not someone who does a lot for charity, so to be able to raise some money for the Ellen Macarthur Cancer Trust makes me feel warm inside! I want to raise the most that I can, so have been trying to come up with some ideas to encourage people to part with their hard earned cash. Seeing as the event is run round the streets of Southsea and Portsmouth, my initial thought was, that if I could raise £2k I would run it in a Saints shirt with the name “Scummer” on the back. This could serve a double purpose, as I am pretty sure my pace would be significantly upped! Somebody else came up with the idea of having everybody who sponsors me could declare that they back Saints or Pompey, and whichever side donates the most money dictates which teams shirt I will wear during the race! The thought of wearing a Pompey shirt does not sit well with me at all, but in the name of charity I might take the risk. Thoughts? For those of you that don’t know me, and haven’t bothered to read the header information or visited the About page, I’m Chris or Stig if you are from Cowes, I work in IT, I follow football, I’m pretty normal, not being able to sit and relax in rooms with the door open is normal right? I already write blogs for Shoot Magazine and occasionally for Saintsweb on one particular subject that is close to my heart. The Pride of the South. 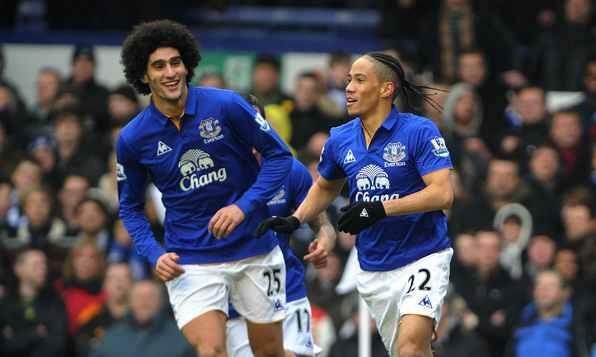 The Saints. Southampton Football Club. 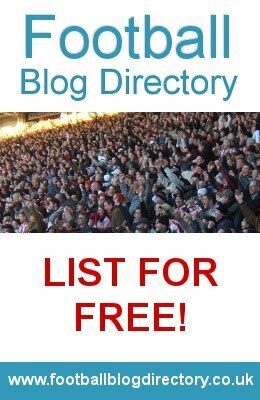 I felt like I needed my own page so I could write on not just Saints, but football in general and other things that I feel passionate about. The name of my site georgeweahscousin.com, spawns from my passion obsession for football and Saints. Back in 1996, then Saints manager Graeme Souness received a phone call apparently from world football superstar and legendary striker George Weah, who told the surprisingly naive moustachioued Scotsman that his cousin Ali Dia was a great player and immediately available to sign. Before you could say “How did you get this number” Graeme was getting the deal done and dusted. 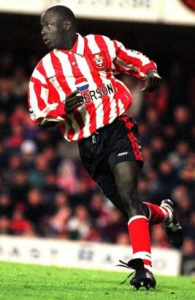 Dia made his debut for the Saints in the Premier League tie with Leeds United, replacing Matthew Le Tissier after 32 minutes, he was then taken off on 53 minutes after the worst performance in Premier League history, condemning Dia and Saints to laughing stock levels of infamy! I will also be using this page to track my fitness progress. Much to the surprise of those closest to me, I recently signed up to do the Great South Run(10 mile road race round Southsea/Portsmouth). An odd decision for somebody who has done less exercise in the last two and a half years than Heather Mills left leg, so hopefully those that read this will be able to see just how much progress somebody who traditionally hates running and let’s face it, is a little bit portly at the moment can make in eight and a half months! On a serious note though I will be running for a good cause, the Ellen Macarthur Cancer Trust so all support and donations(site will be up soon) will be greatly appreciated. So sit back, and hopefully enjoy! Thanks for Reading!